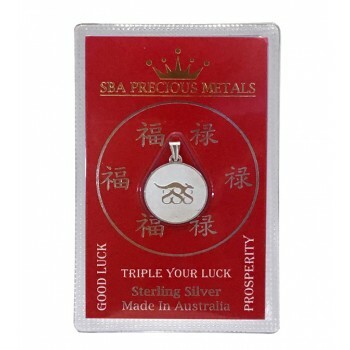 Sterling Silver 888 Kangaroo Pendant. 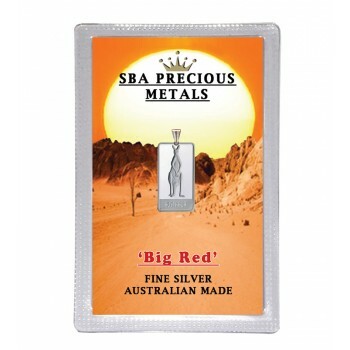 Elegantly displayed on its own custom designed card and ..
5 gram 'Big Red' Fine Silver Bullion Pendant, stamped with SBA's registered Bullion Trading logo. 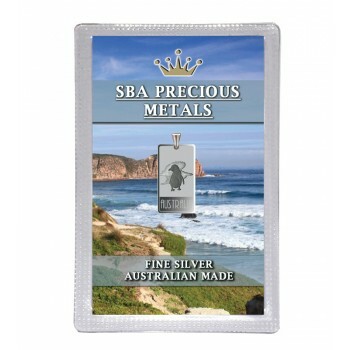 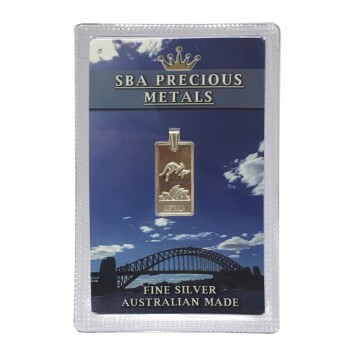 &n..
5 gram Kangaroo & Opera House Fine Silver Bullion Pendant, stamped with SBA's registered Bullion..
5 gram Koala Fine Silver Bullion Pendant, stamped with SBA's registered Bullion Trading logo. ..
5 gram Penguin Fine Silver Bullion Pendant, stamped with SBA's registered Bullion Trading logo. 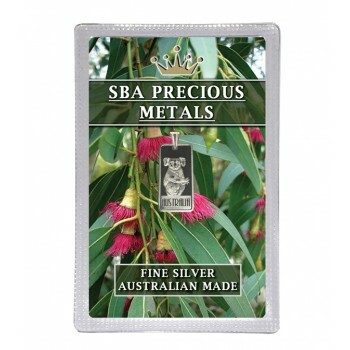 &nbs..
10 gram 'Big Red' Fine Silver Bullion Pendant, stamped with SBA's registered Bullion Trading logo. 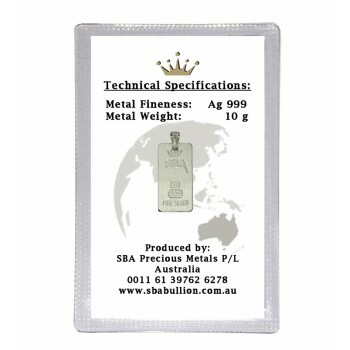 &..
10 gram Kangaroo & Opera House Fine Silver Bullion Pendant, stamped with SBA's registered Bullio..
10 gram Penguin Fine Silver Bullion Pendant, stamped with SBA's registered Bullion Trading logo. &nb..